Not a single management protocol was put in place by the Australian CEO during his three year tenure. There was no database; no campsite booking system; no trek itinerary management system; no campsite development program; no trail maintenance plan; no effective ranger system; or any development programs to assist local villagers in value-adding to the emerging industry. The recent departure of the PNG CEO from the Kokoda Track Authority (KTA) brings an end to a sorry saga of Australian mismanagement along the Kokoda Trail. 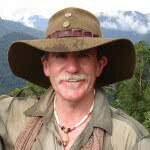 Prior to the arrival of Australian officials in 2008 the emerging Kokoda trekking industry was managed by Warren Bartlett, a former Kiap on a PNG salary of $12,500. During his tenure trekker numbers grew from 365 in 2002 to 5621 in 2008 – a massive increase of 1,440%. Bartlett had no staff but was assisted by a part-time local secretary. Under a ‘Joint’ Understanding signed by the Australian and PNG Governments in 2008 Bartlett was replaced by an Australian CEO on an eye-watering six-figure salary by the Department of Environment, Water, Heritage and the Arts (DEWHA). He was provided with a 10-fold increase in staff numbers and a multi-million dollar budget. The Department of Veterans Affairs (DVA), which has responsibility for our WW1 heritage at Gallipoli and the Western Front in Europe, was not included in the ‘Joint’ Understanding apart from the allocation of $1 million for unspecified purposes. There is no evidence of any of this money being allocated to the development of a Master Plan to protect and interpret our military heritage along the trail. It is also remains unclear why DVA are responsible for our WW1 military heritage at Gallipoli and Environment/DFAT are responsible for our WW11 heritage at Kokoda. Network Kokoda has established a Memo of Understanding with PNGs MiBank to provide financial literacy training for the local community at our Sogeri Women’s Learning Centre. MiBank is a grassroots financial institution licensed by the Bank of Papua New Guinea (BPNG) to provide a savings opportunity for subsistence villagers and small business people in the informal economy. Our initial financial literacy course involved 24 women and two young men from Sogeri, Vesilogo, Owers Corner, Crystal Rapids and Sirinumu village areas. Savings: What are they and why save?